The Community Planning and Development department mailed this July 10 public-hearing notification to residents in neighborhoods surrounding LBA Park and LBA Woods. Unfortunately, it is very confusing and misleading. It makes it appear we LOST the LBA Woods to development. This is not so. The areas zoned R 4-8 are, in fact, saved parkland. 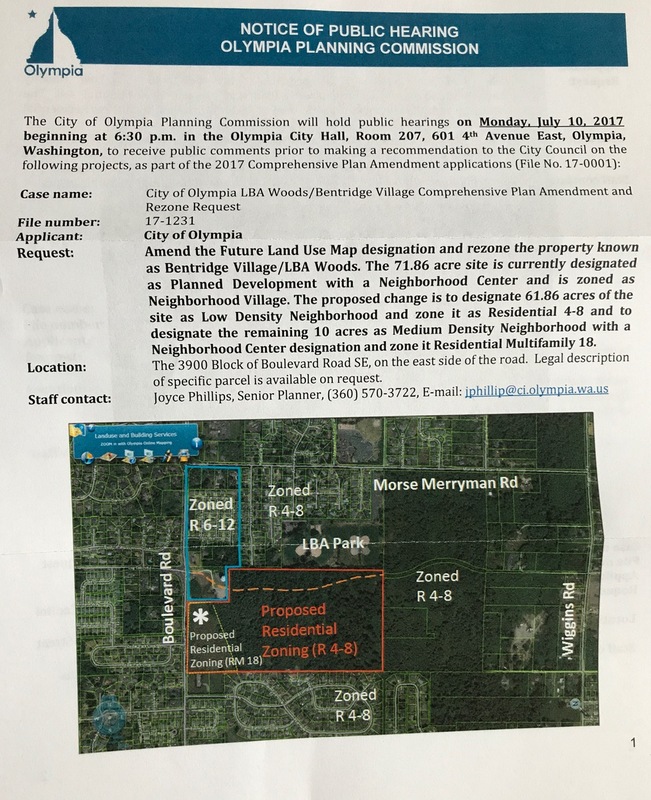 The area zoned R6-12, however, designates the 10 acres the City did acquire (the “old growth” scotsbroom field) with non-park money to develop for higher-density housing and possible neighborhood center. We are currently working with the Parks Dept. and Planning and Development Department to request they issue an official clarification asap on this unfortunately confusing notification. Meanwhile, the public hearing on this rezone is Monday June 10th at City Hall at 6:30p.m. upstairs in Room 207.